Musical Family Hanau presents their charming and humorous adaptation of the spooky comedy musical “The Addams Family”. 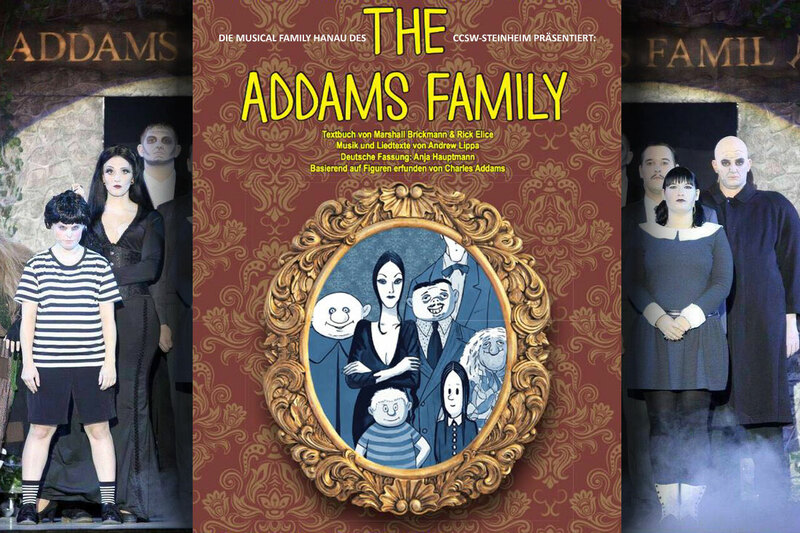 Originally the work of Marshall Brickman, Rick Elice and Andrew Lippa, this story based on the characters of Charles Addams and translated by Anja Hauptmann proved very popular with audiences at performances in 2015. “The Addams Family” is now back on the stage and Musical Family Hanau is supporting the BKB Charity initiative with these new performances. Musical Family Hanau is devoted to staging musicals of a professional standard and gives opportunities to young and talented performers who put their heart and soul into their singing, dancing and acting.